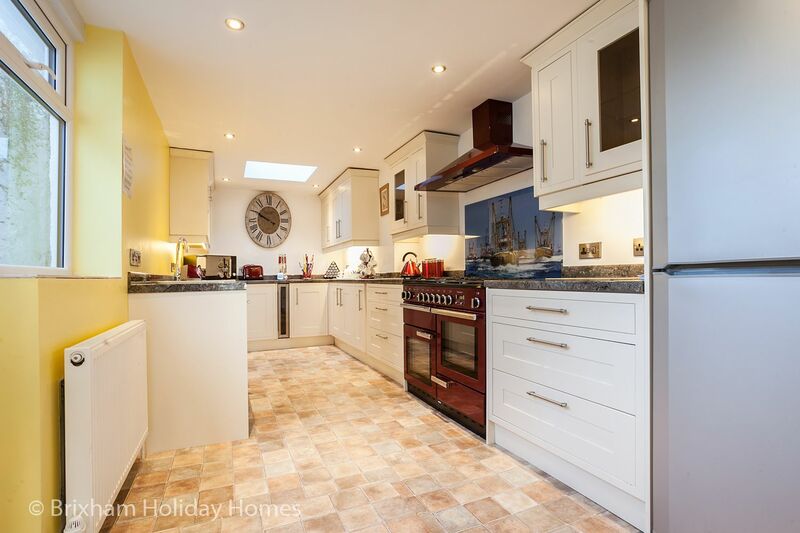 A recently restored former dairy with superb harbour views. 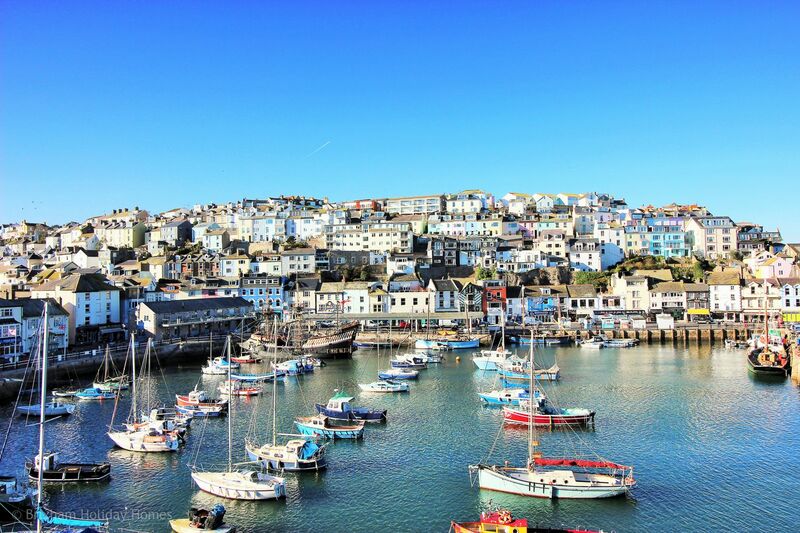 Fishermans Wharf was built in 1760 and has many different identities over the years - at the beginning of the last century, it was the distribution dairy for Brixham. The new owners live next door and fell in love with the building and leapt at the chance to buy it when the previous owners decided to move. 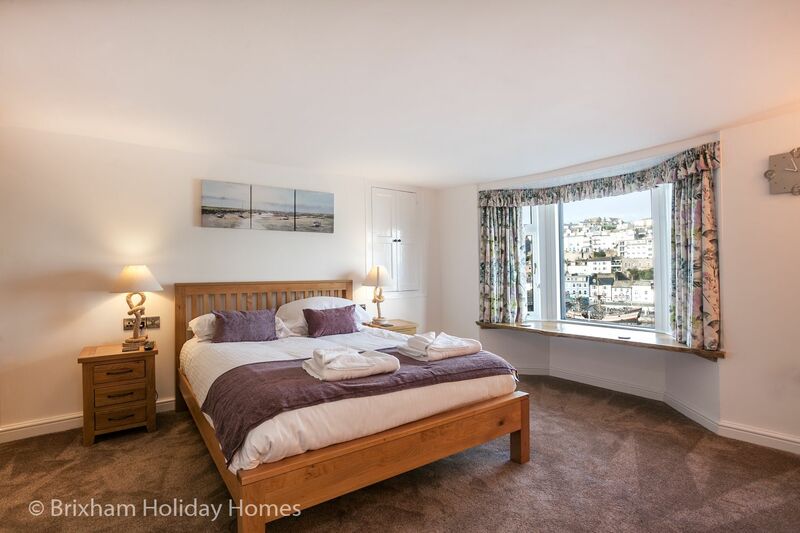 Fishermans Wharf was completely refurbished to a very high standard in 2017 to form the perfect holiday home. 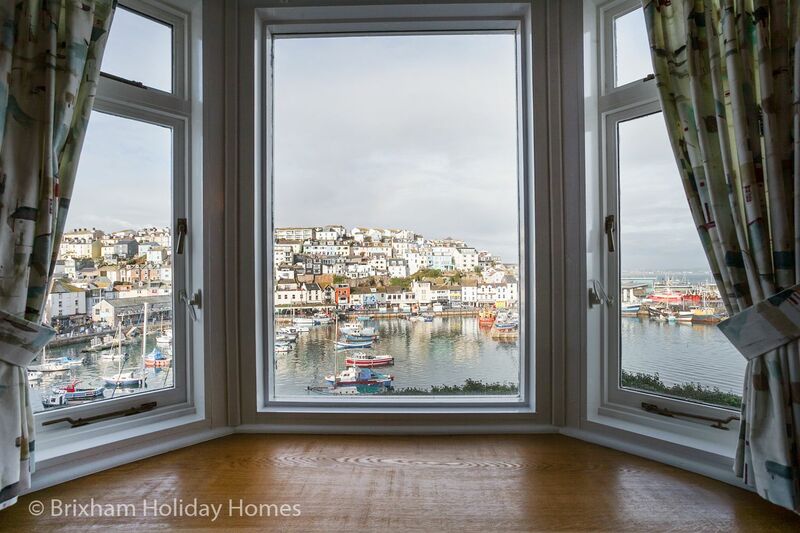 Situated on King Street, overlooking picturesque Brixham Harbour, this charming property is a very luxurious addition to Brixham’s accommodation options. 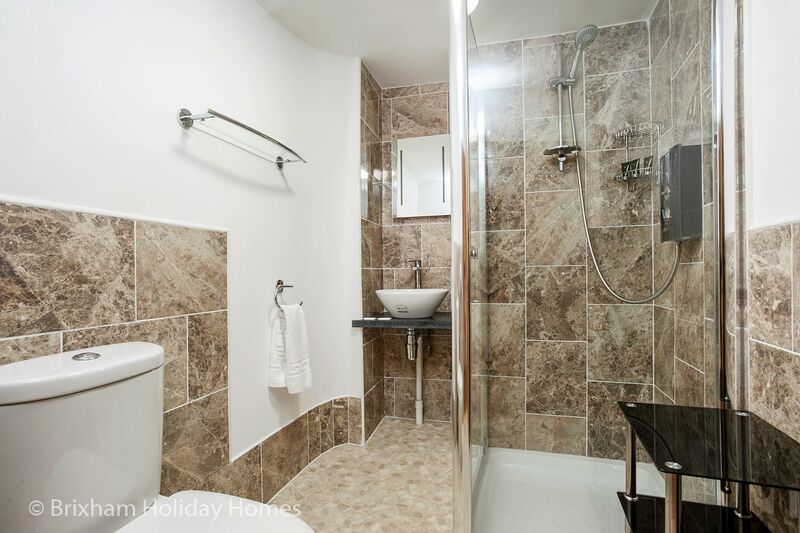 Built over four floors, the accommodation briefly comprises: three large bedrooms (King, Double & Twin) - all en-suite, a large open plan lounge/ dining area with modern kitchen with washer dryer, dishwasher & wine fridge. There is a separate guest w/c. 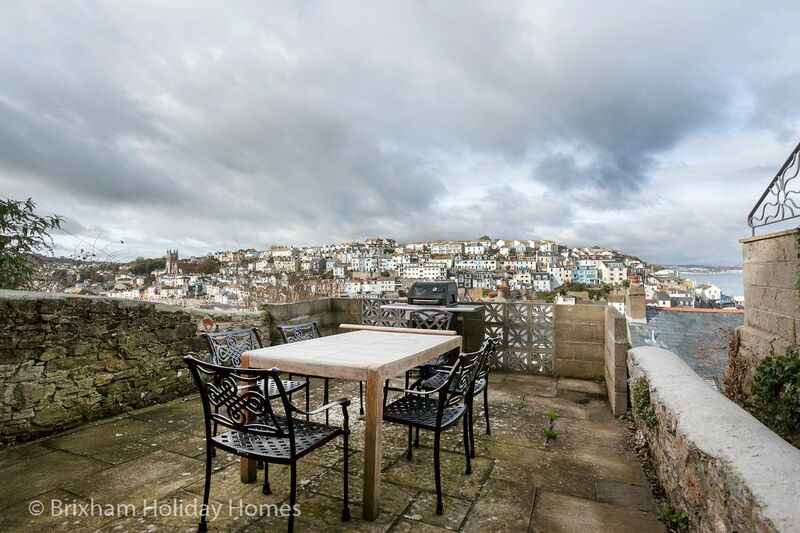 To the rear, there are steep steps up to a terraced patio which enjoys panoramic views over the harbour. 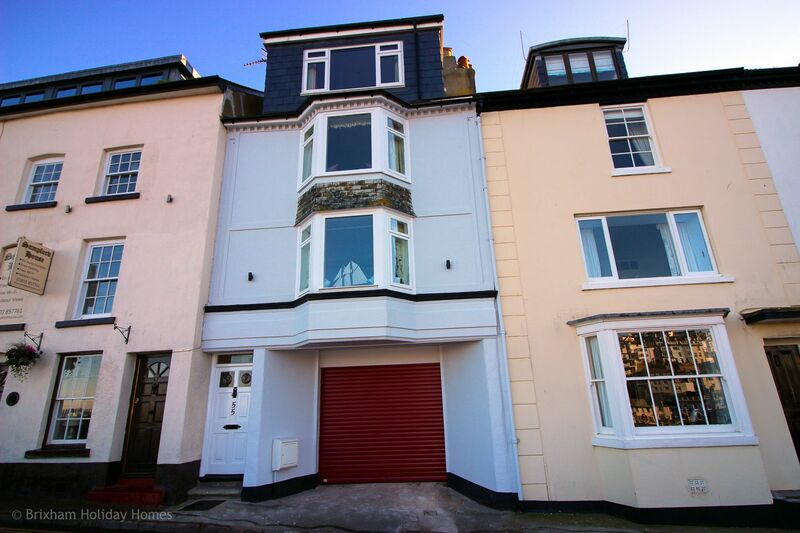 The ground floor features that very rare commodity in Brixham - an integral garage which is suitable for a small to medium size car up to 4 meters in length. Other free parking can be arranged nearby for a larger car. Due to the steep steps, the rear patio wouldn't be suitable for people with mobility issues or young children. 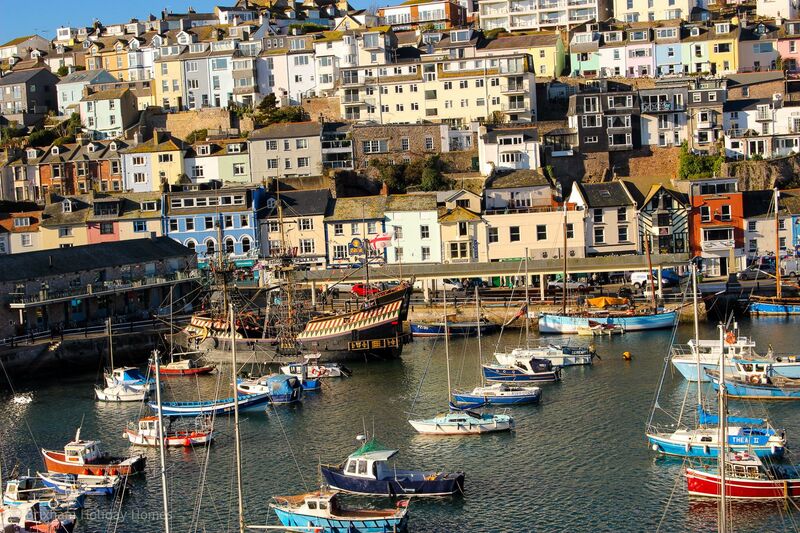 Brixham is situated between Paignton and Dartmouth and is one of the few unspoilt fishing villages left in South Devon. 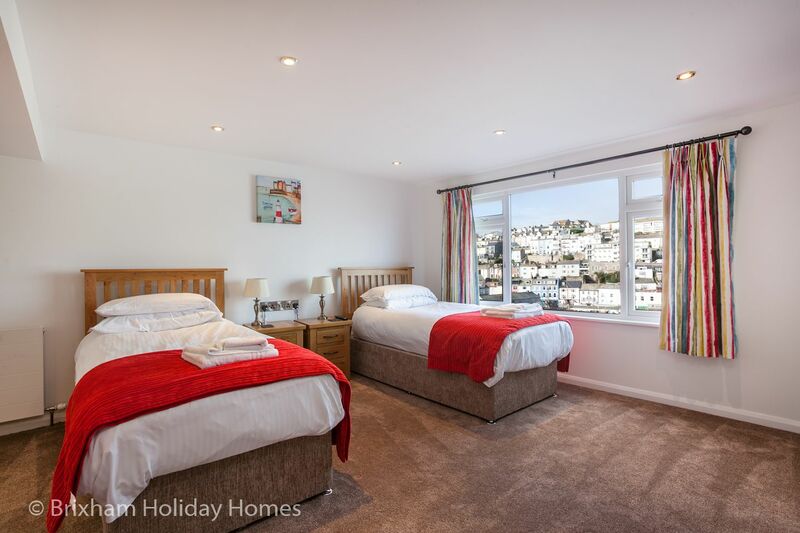 You could use Fishermans Wharf as a base to explore the region, why not leave the car parked and travel on foot or via the wonderful ferry service to Dartmouth or Torquay or the frequent local buses. There are plenty of fantastic local walks as we are situated right on the famous South West Coast path. 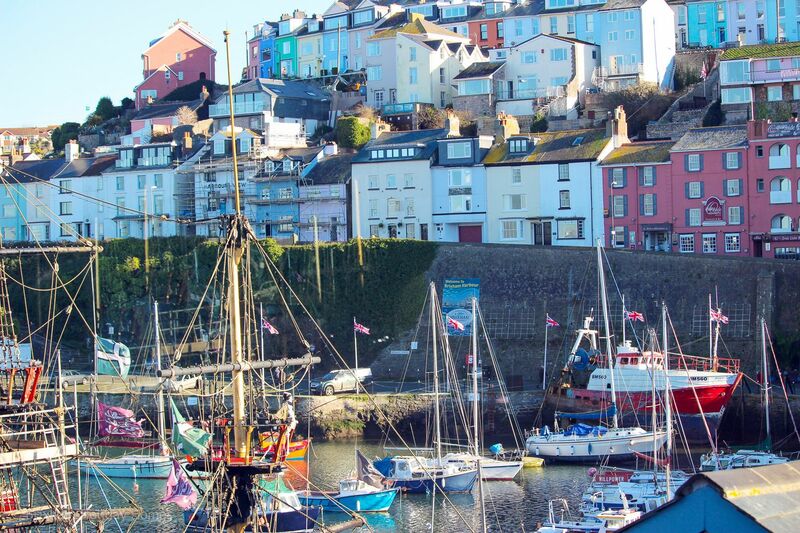 For experienced walkers, the 11 mile walk from Kingswear to Brixham is a must do! 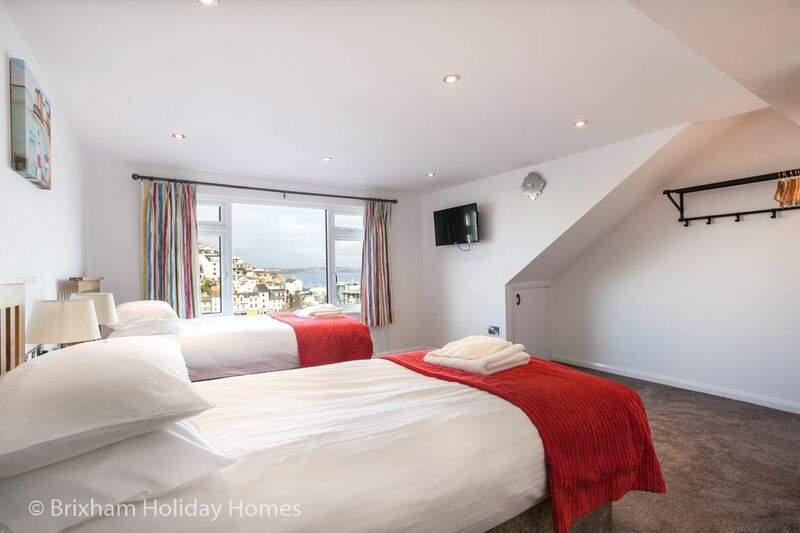 Master king size en-suite bedroom with spectacular view over the harbour, bedside tables with lamps, 2 x tub chairs & coffee table, chest of drawers, built in wardrobe, flat screen TV. 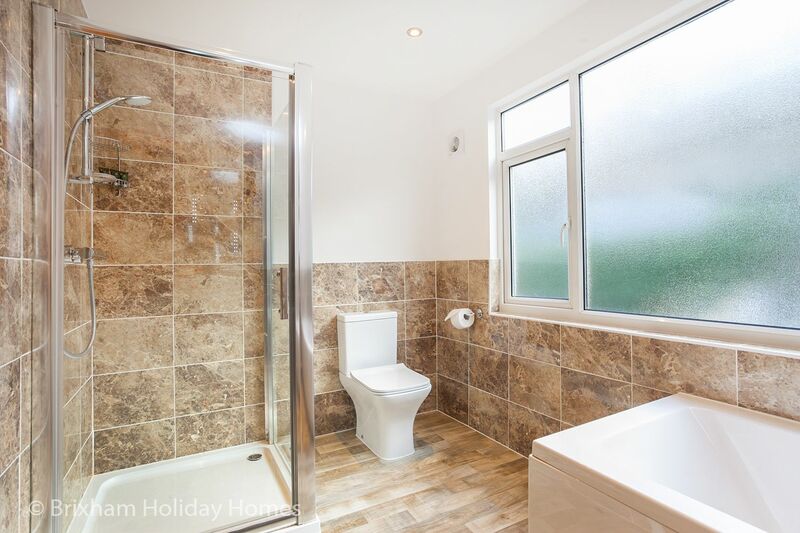 En-suite bathroom with shower, w/c & wash basin. Additional self-inflating double bed. 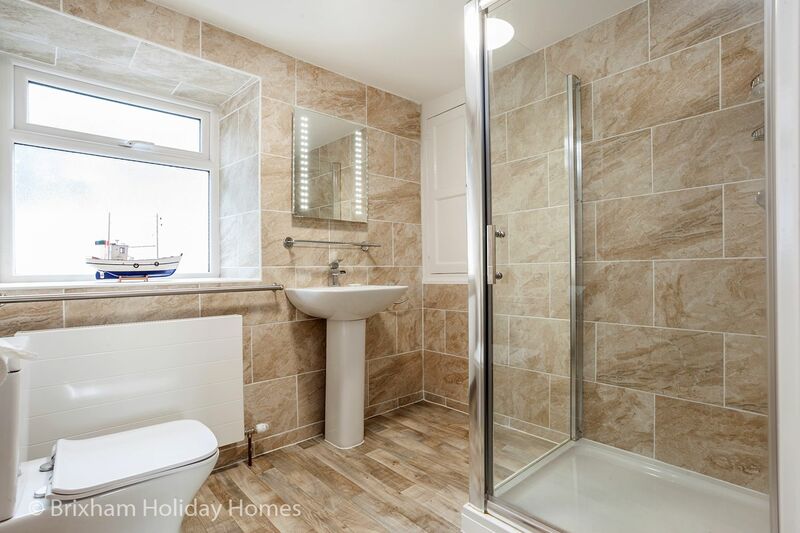 Large twin en-suite bedroom with spectacular views over the harbour. 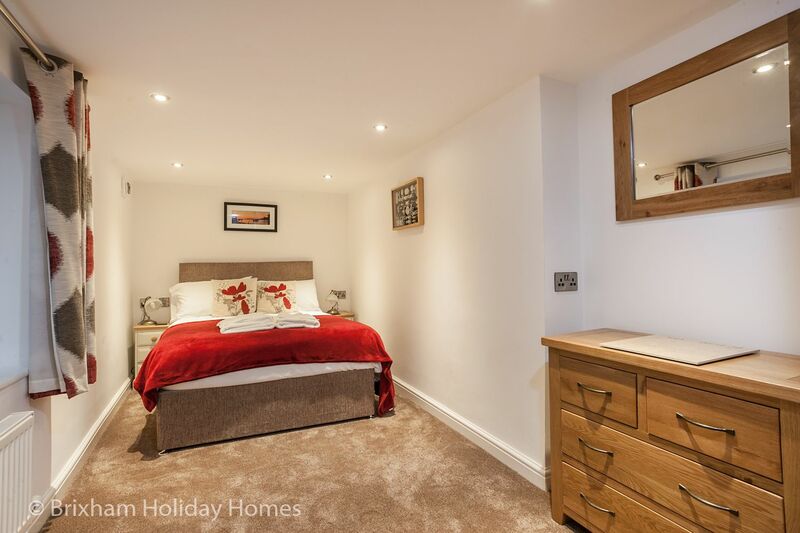 2 x single beds, bedside tables with lamps, Chest of Drawers, Flatscreen TV. 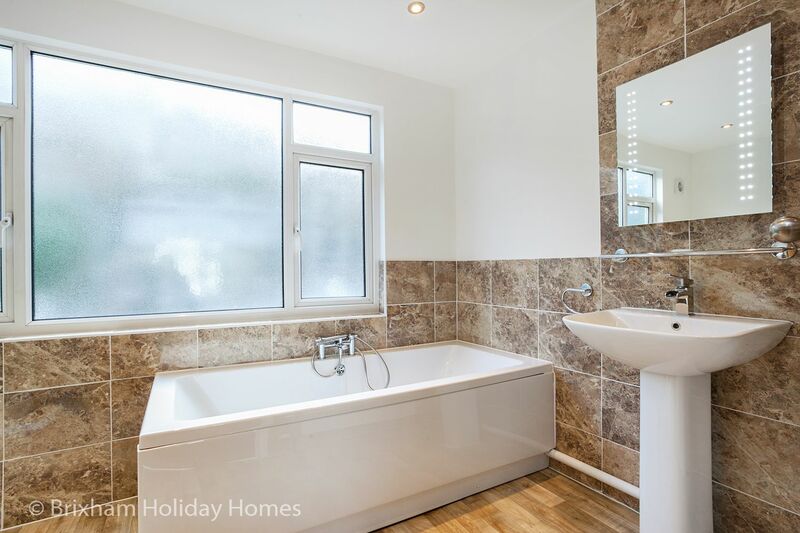 Large en-suite bathroom with bath, separate shower cubical, w/c and wash basin. 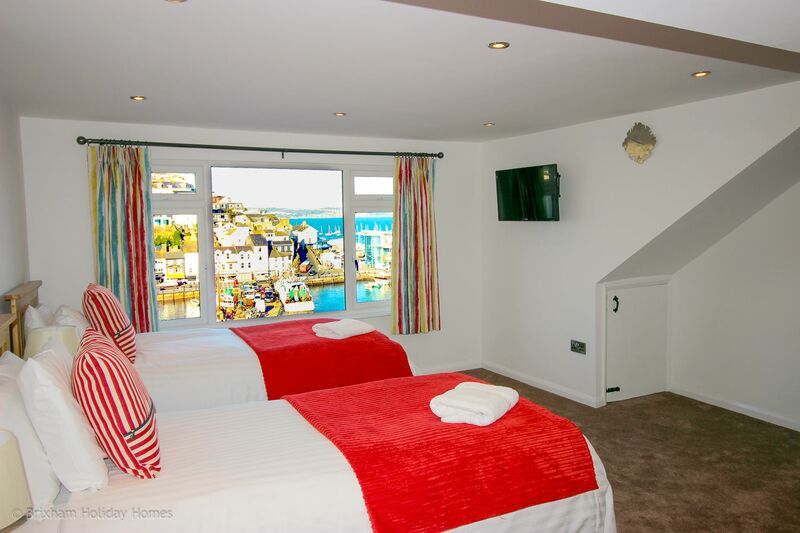 The owners of Fishermans Wharf also operate SAMPFORD GUEST HOUSE next door. 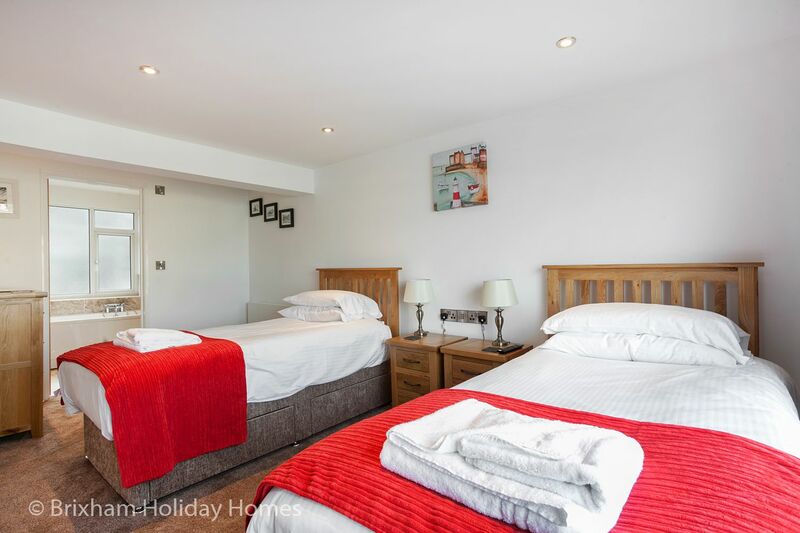 They have owned this delightful Guest House for over 6 years and are always on hand to offer any advice to help maximise the enjoyment of your holiday. Integral garage for small car. Free alternative parking for a larger vehicle. 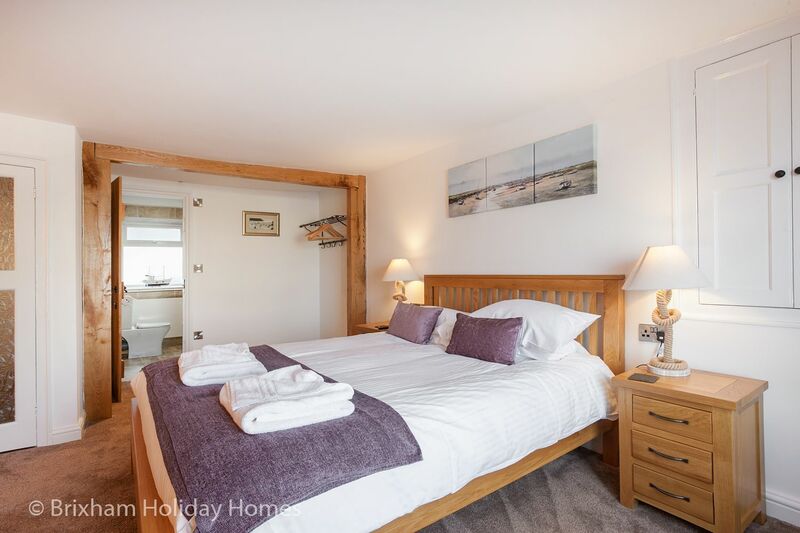 FishermanÂs wharf cottage has everything to make you holiday fantastic , accommodation was excellent, immaculately presented , all rooms were a very good size and really clean , amazing views across the harbour . Stunning views on the balcony worth all the steps up there ! Bonus having a garage , which just fitted in my Peugeot 308. Very nice cottage. Excellent views. A Ilittle dissapointed with the ground floor bedroom a bit dark and cold compared to the other two excellent bedrooms. 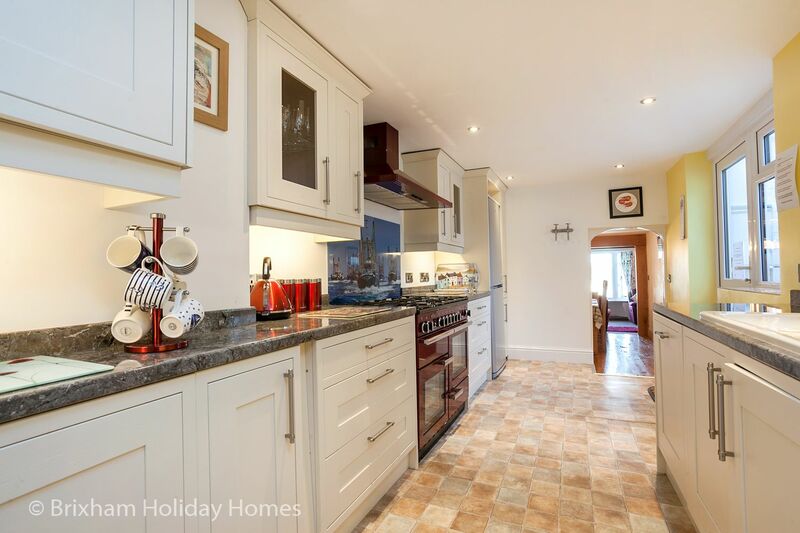 A property full of character and all facilities. Perfect location for all amenities. Wonderful views. 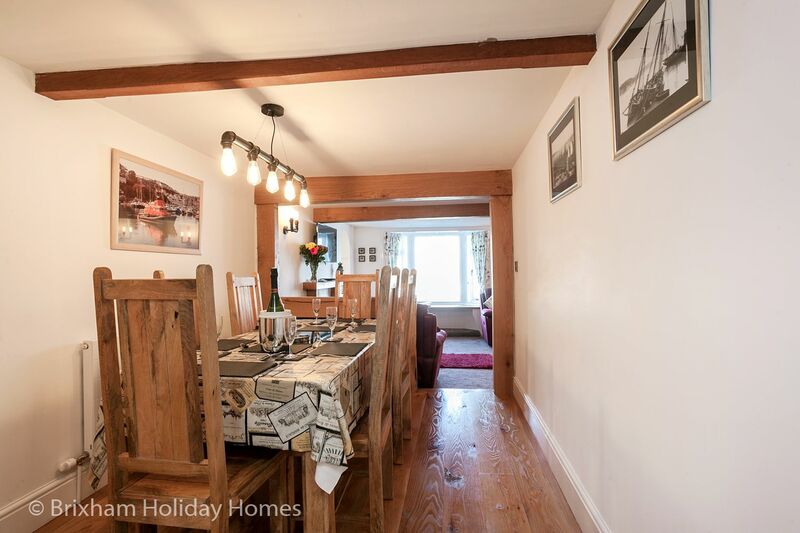 I had booked this cottage as a surprise for my husband's 40th birthday. 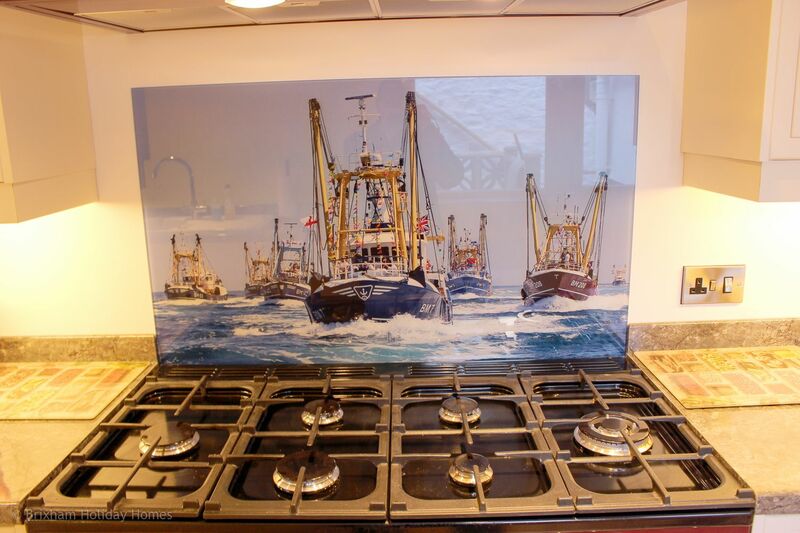 This is our 4th stay in Brixham but our 1st in Fisherman's Wharf and I cannot praise the owners and the cottage enough. 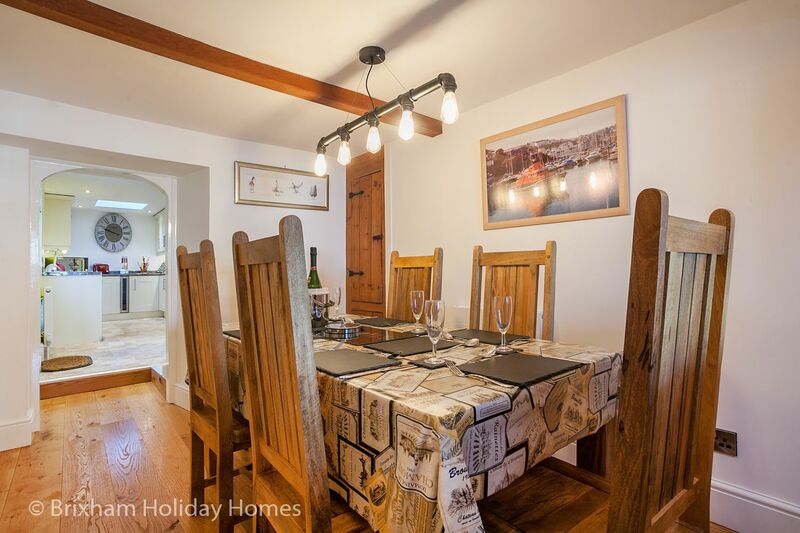 After booking my husband's main birthday surprise for the Isle of Man TT in June, I wanted to surprise him with another weekend away around on his actual birthday with his parents and our 10 year old son. My husband was over the moon. 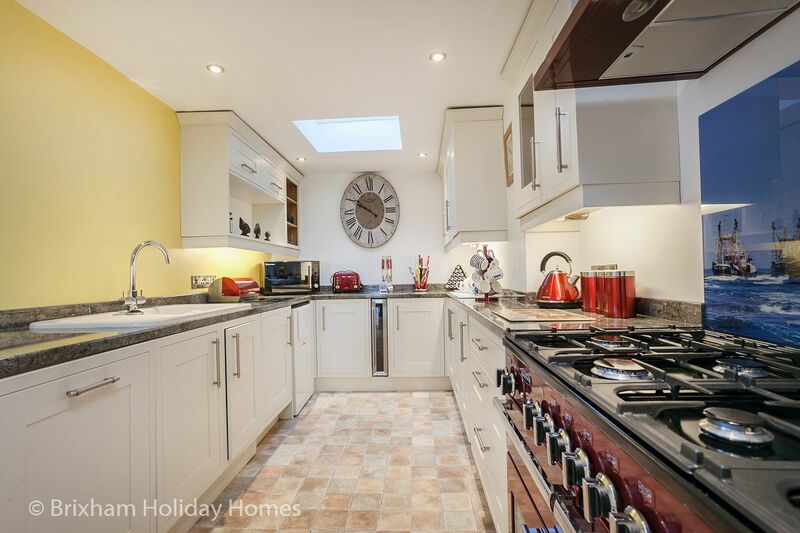 The house is extremely comfortable, well equipped and a joy to stay in. We visited pubs, restaurants, Berry Head (including the Guardhouse Cafe) & of course the madness that is the Maritime Inn! 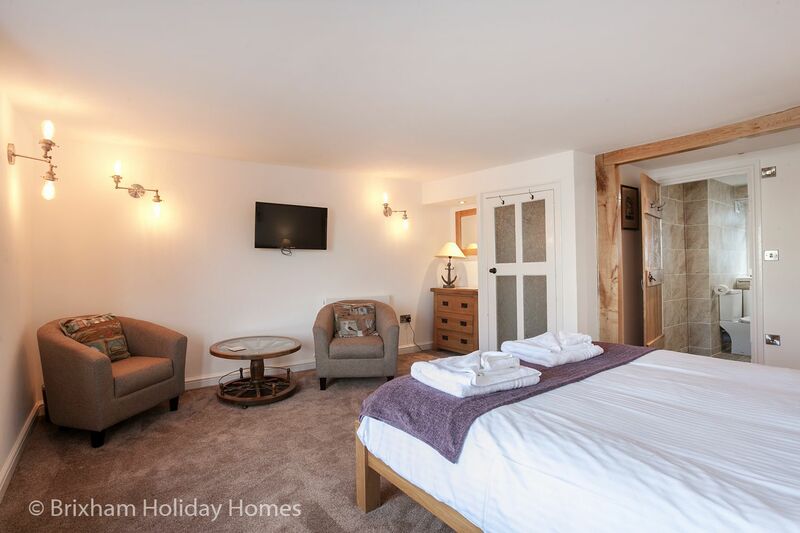 I contacted the owners about parking and arrival time as we were only staying for the weekend I was hoping to maximise our stay (I wanted to see if we could arrive before 4pm) and we would also be arriving in 2 separate cars. 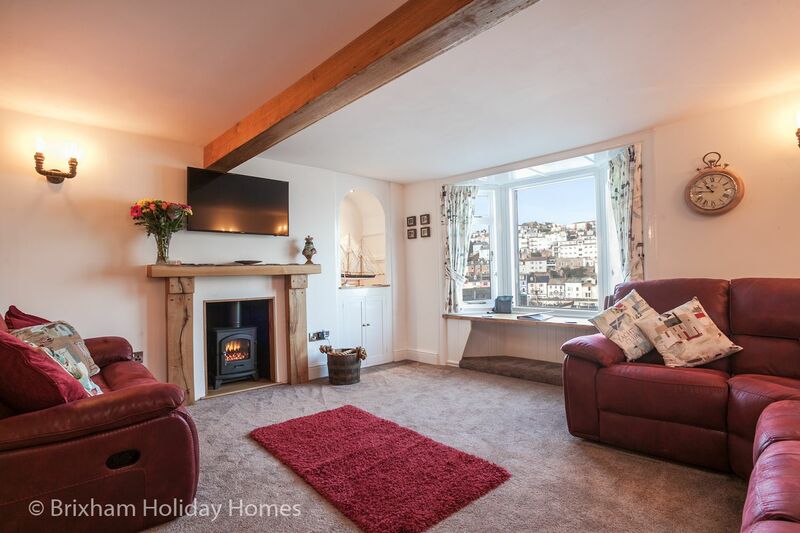 The owners were lovely and allowed us to arrive a lot earlier as the property was not in use on the day before our arrival, they also provided us with 2 parking spaces on the harbour after our car would not fit in the integral garage. We really did have a wonderful weekend full of laughter. This was my mother and father in law's 1st visit to Brixham and they loved it as much as we do. 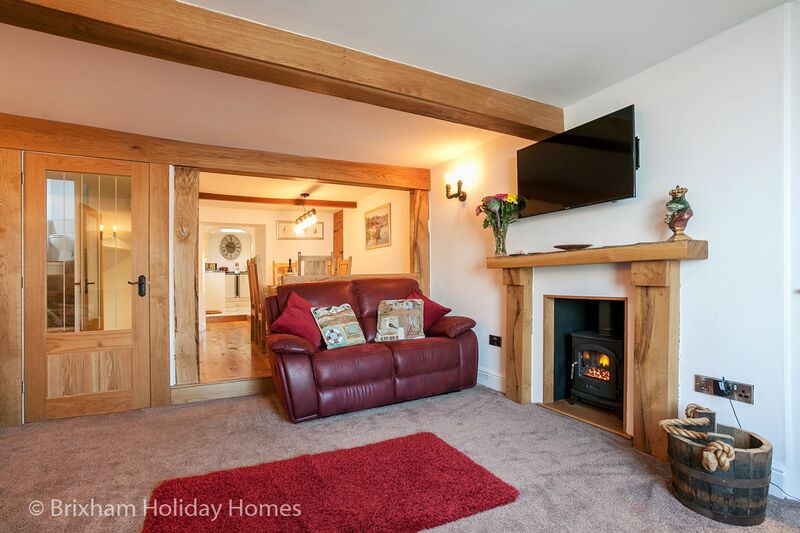 I wouldn't hesitate booking this cottage again. 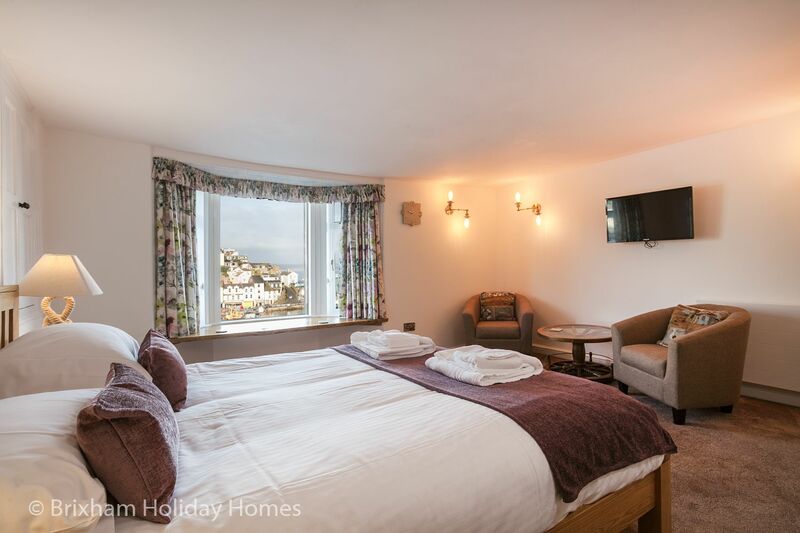 Centrally located halfway up King Street next to Sampford Guest House in Brixham. 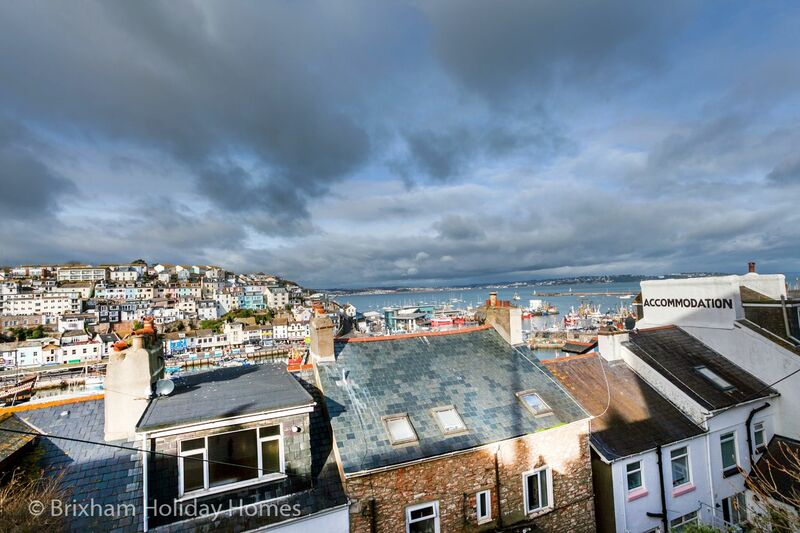 It has superb harbour and sea views from every floor plus an integral garage for small to medium car. Alternative parking for larger vehicles can be arranged on the harbourside below.